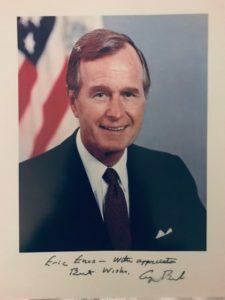 With the passing of former President George H.W. Bush, I reached out to our Secret Service contributor, Eric Enos, who was on an extended traveling assignment, to share his thoughts, anecdotes, and experiences with the President during his years at Secret Service. 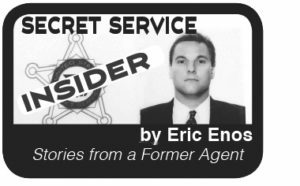 Enos was a former Secret Service Agent that served under three Presidents. 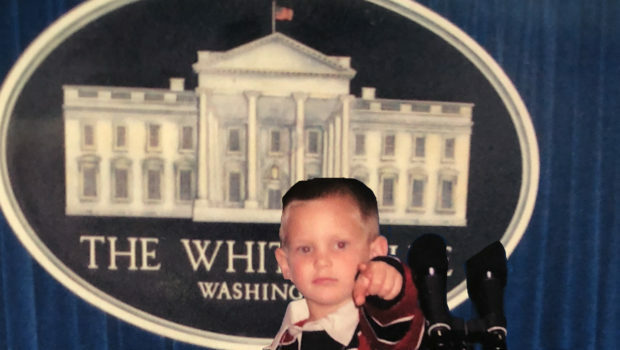 Even though President George H.W. Bush was not one of them, he had left a deep imprint on Enos, nevertheless. 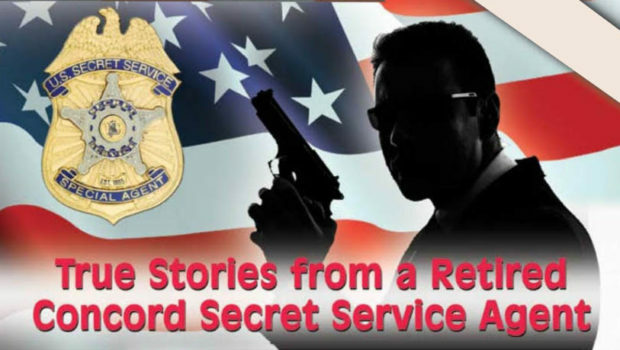 “During my panel interview at USSS, (US Secret Service), I was asked to cite three role models in my life. I listed President Reagan, President George H.W. Bush, and my dad,” Enos said. That was a good answer as the agency was also very fond of President Bush for his patriotism, his service to the country, and his humanity. He had a reputation of being very honorable and showed pride, dignity for the Office. Bush also showed incredible respect for the military and law enforcement and treated the personnel as such. He truly appreciated their service to the country and to society. 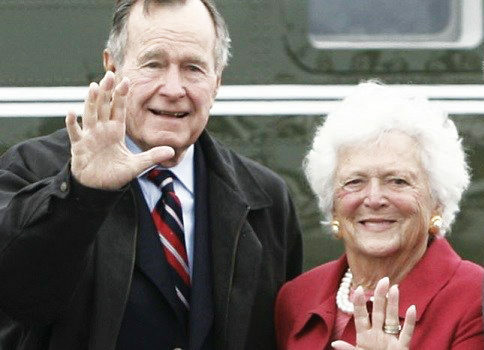 Even though Bush exemplified patriotism, George and Barbara were humble, down-to- earth souls. They interacted with staff at a personal level as one would with any friend, or sometimes as your parent. 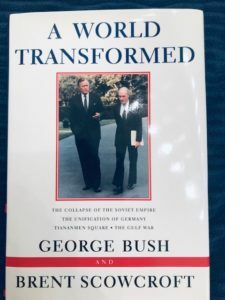 “On one golf outing at the Kennebunkport Bush Compound, Bush rode up to my agent friend in a golf cart. ‘Hop in, I’ll give you a ride,’ Bush said to the agent. “One agent told me when Bush was Vice President, he would hold tennis matches between the Bush’s and Secret Service. Bush would describe them as great kids and treated them as members of the family. 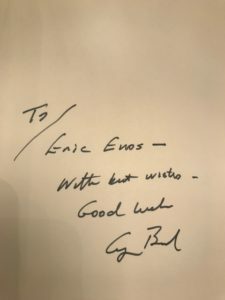 Enos had protectee assignments with both George and Barbara which we are sharing, including this repost of his Barbara Bush article from May 2018. “I was the lead agent on a detail when Bush came to California for a re-election fundraiser for Governor Schwarzenegger,” Enos begins. “After which, Bush spent three days at a retreat. At the end of the retreat, we motorcaded to the airport. As I was separating his gear from ours in the trunk of the limo, I handed him a humidor which included a bottle of wine and two etched wine glasses. 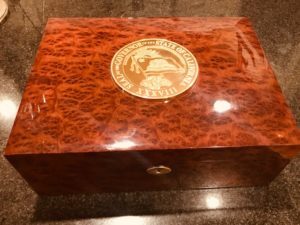 All items contained the Governor’s official seal. 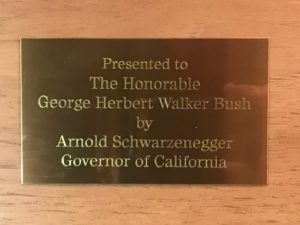 It was given to him from Governor Schwarzenegger. Like Enos said, Bush was down to earth, unpretentious, unmoved by status or lavish gifts. By the way, the humidor remains under the protection of Enos. 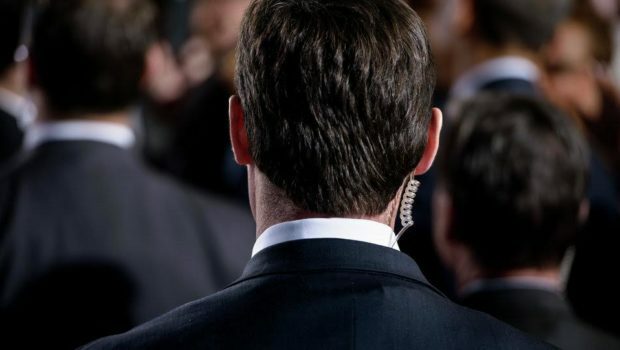 Secret Service Agents are constantly asked about the personal lives of protectees (a protectee is anybody protected by the Secret Service). 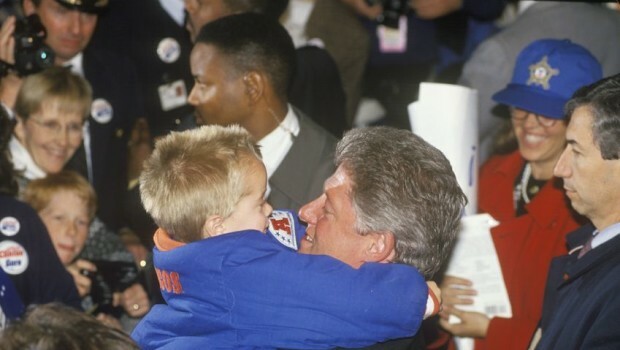 One protectee who was admired by all agents is Former First Lady Barbara Bush. Her kindness is legendary within the agency. Stories of her baking cakes or cookies for agents on their birthdays are well known. Agents often describe her as grandmotherly. I have never met nor heard of an agent who ever had anything negative to say regarding Mrs. Bush (nor her husband for that matter). My first encounter with Former First Lady Bush was in San Francisco. I was a new agent and she was one of my first protectee assignments. I had always been a fan of hers (well, at least the warm persona that came across on the T.V.) and I was looking forward to working her detail. I had hoped she would be as warm and kind as I had heard, a protectee who seemed to appreciate our presence. Mrs. Bush was coming to San Francisco to be the surprise keynote speaker at a large corporation’s annual awards banquet which was being held at the Parc 55 Hotel. She would also be staying overnight there. My assignment was as a Post Stander both in front of her hotel suite door and at her event site – a boring assignment for veteran agents, but pretty cool when you’re the new guy. We owned the wing of the floor where Mrs. Bush’s suite was located. In addition to the suite, her traveling assistant’s room was on this wing, as well as our Secret Service Command Post. All remaining rooms were assigned to agents. Other Secret Service rooms were strategically located on other floors of the hotel. Upon arrival at the hotel, Mrs. Bush was scheduled to spend some down time in her suite to rest and freshen up before speaking at the banquet that evening. 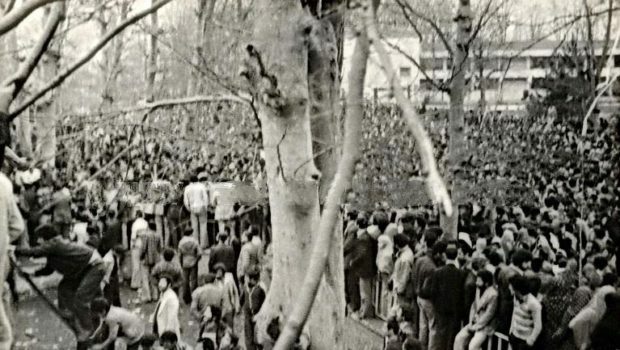 The Command Post made the notification over the radio to all agents that Mrs. Bush’s motorcade had arrived at the hotel. Our wing/floor was secure, bomb sweeps completed, and agents posted. I was at the end of the hall, posted at her suite door. A few minutes later an agent appeared followed by Mrs. Bush and several other agents. At this point, Mrs. Bush was out of the public eye. This is often when a protectee will lose the smile and you notice the exhaustion in their eyes; but not Mrs. Bush. She had a big, warm, smile on her face and her eyes sparkled. 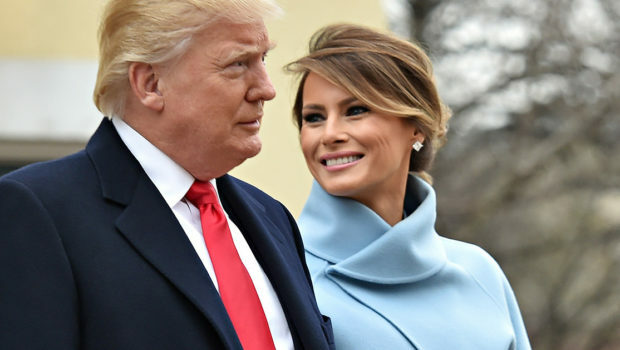 She was wearing a conservative yet classy sky-blue dress, her white hair was neatly done exactly like I had seen a hundred times before in pictures and on T.V. and around her neck she wore her famous fake pearls. As she came down the hall, she said hello to each agent. Then she came to me at her suite door and said, “Hello, how are you?” I replied, “Hello ma’am.” She looked and acted exactly how I’d hoped she would. She and her assistant entered the suite. I continued to stand post at the door. She had about an hour-and-a-half of downtime in the suite before she was to speak at the awards banquet. Approximately 20 minutes before Mrs. Bush was to head to the banquet room, I was reassigned to “push” (relieve) the agent posted at the Hold Room, located directly behind the banquet room. It was actually a wide hallway where Mrs. Bush would wait before being introduced and take the stage to deliver her speech. The area was secured, meaning it had been closed off to the public and swept for explosives. I relieved the agent and held the area. Several minutes later the command post radioed that Mrs. Bush would be momentarily in route to me at the hold area. I informed that all was clear. Shortly thereafter, an agent, followed by Mrs. Bush, her assistant and several other detail agents entered the area. She had the same sparkle in her eyes and beaming smile as when she arrived at her suite earlier. The CEO let go of the leash and the spaniel shot over to Mrs. Bush and jumped with her front paws onto Mrs. Bush’s knee. The dog wiggled franticly with excitement as Mrs. Bush cradled the dogs head with a hand on each side of its cheeks and kissed it on the top of the head. “I have one at home just like you!” she said still on one knee. She then hugged the dog as the dog excitedly got a few licks in on Mrs. Bush’s face. I don’t know who was happier, Mrs. Bush or the Springer Spaniel. 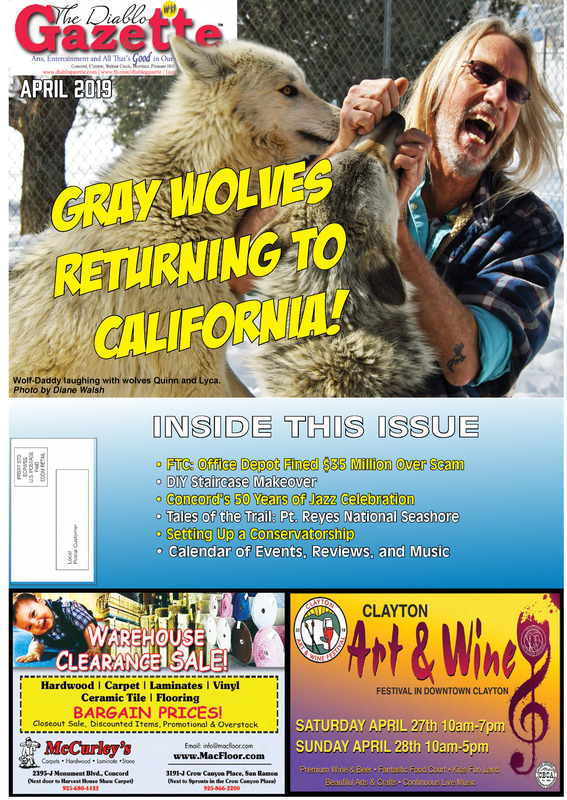 “Twice, I heard Fox News anchor Chris Wallace (a Democrat) say, ‘For years I have felt George H.W. 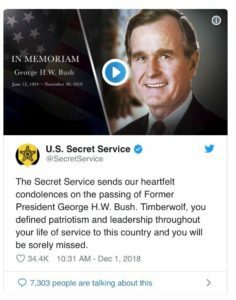 Bush was the greatest living American. ’ I couldn’t have said it better, myself,” says Enos. Assassin or Just Trying to Impress a Girl?